This funny emoticon just heard something worthy of the gesture! We’re guessing you hear something similar on FB from time to time too. 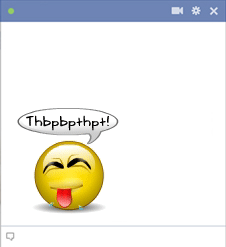 Our emoticons will help you express yourself perfectly each time you comment on Facebook! Be sure to view them all so you can find all your favorites!